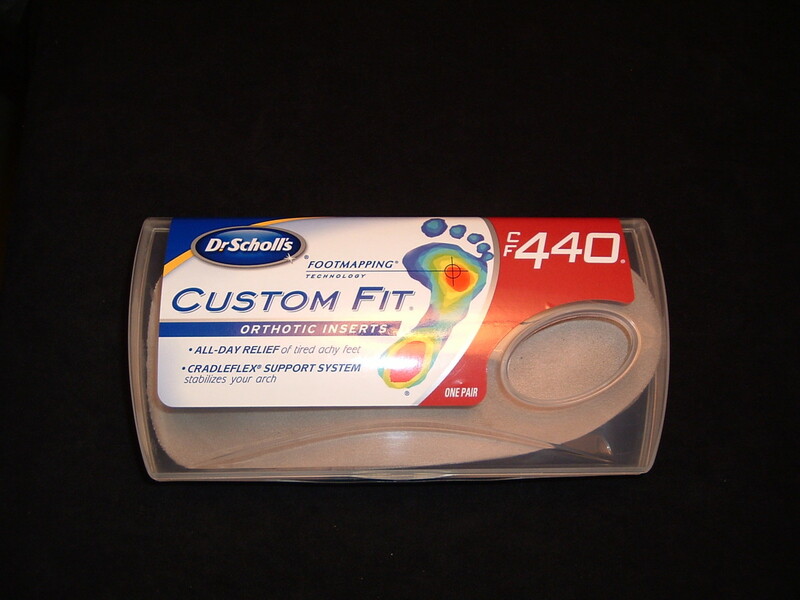 The following is a product review of my use of Dr. Scholl’s Custom Fit Orthotic Inserts, specifically Model CF 440. Dr. Scholl’s Custom Fit Orthotic Inserts with “Footmapping Technology” have been on the market for a few years now. The inserts come in 14 models (all starting with the letters “CF” presumably meaning “Custom Fit”): 110, 120, 130, 210, 220, 230, 310, 320, 330, 340, 410, 420, 430, and 440. They range between $44 and $50. The insert pairs are nicely packaged in a hard plastic container allowing consumers the ability to feel the inserts. They are constructed with four layers: the top layer, according to the packaging, is a “soft, microfiber”; the second layer provides cushioning for the heel. The final two layers are the important parts of the inserts and are called the Cradleflex Arch Support System. The inserts are sized at ¾ foot length and require no trimming. Dr. Scholl's has given the inserts a lifespan of six months. The product also comes with a “100% satisfaction guaranteed or your money back” promise. The real feature of the product is its computerized, in-store kiosk. The kiosk measures the foot arch, pressure points, and foot length. 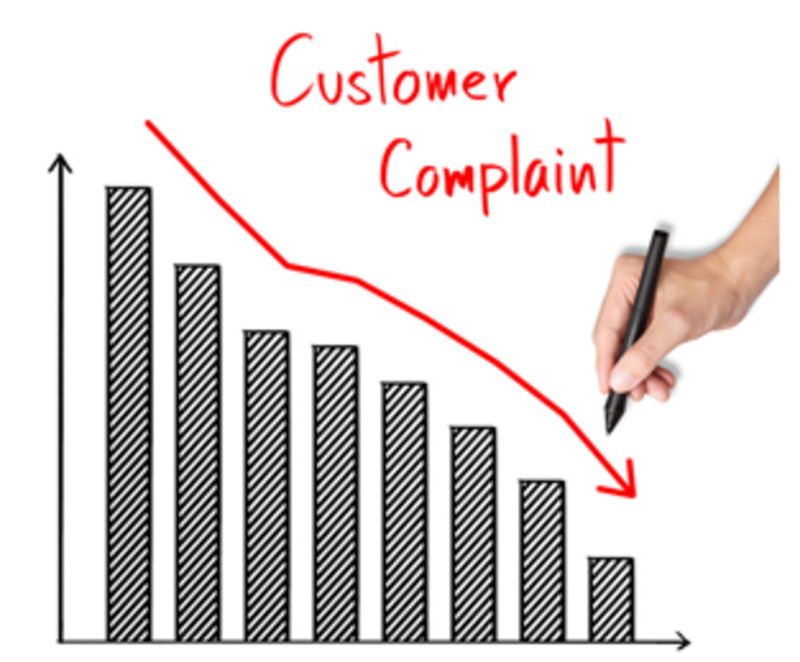 Consumers must use the system to determine the ideal insert model for their feet, thus receiving a customized fitting. Here’s how it works: Shoppers are to remove their shoes and stand in the outlined foot spaces on the kiosk. Beneath the platform are 2,200 sensors that “map” the feet based on pressure points. The kiosk test takes only two measurements that require less than two minutes total. The first measurement assesses foot pressure in a standing position. The consumer is asked to stand still and then lean forward using two balancing handles to move a yellow circle on the screen into a green target. Thus the first measurement is completed. The second measurement assesses foot pressure in a walking position for each foot. Consumers are led through a process in which they are asked to stand on each foot while lifting the other, then to lean forward once more to move the circle into the target; and with each foot being measured, the entire foot mapping process is complete and the computer recommends an insert model. I recall when Dr. Scholl’s Custom Fit Orthotic Inserts entered the market a few years ago. 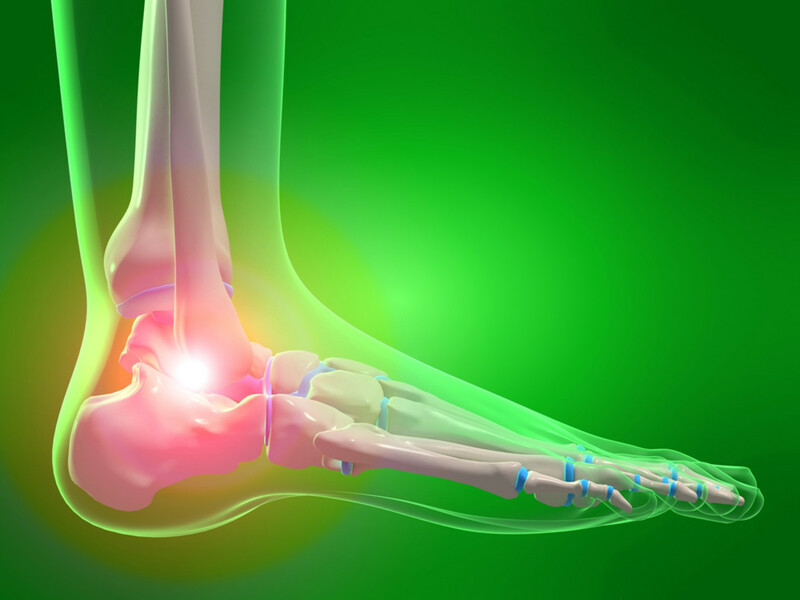 I have suffered with what I believe to be plantar fasciitis for many years, and the use of foot orthotics is recommended. The foot pain that I experience is not common foot soreness. It is debilitating pain that has, at times, left my feet swollen and disfigured with me unable to walk. Mornings are worst: the first steps of the day are hell itself. Recent work requires me to be on my feet all day, so I have been in constant pain with little time for recovery. This drove me to consider the custom inserts…once again. I had been ignoring them because I refused to pay the price-point. But pain has a way of changing your mind. With my former work health insurance having ended, custom crafted orthotics were out of the question for me despite having a prescription in-hand. So I went to Walmart and used the kiosk, as I had done in the past. I already knew the recommended size for me (CF 440 for the tall or heavy) and it was the same. So I purchased the inserts and hoped that I had not wasted my money. Do Dr. Scholl's Custom Fit Orthotic Inserts interest you? If you think you may be interested in purchasing Dr. Scholl's Custom Fit Orthotic Inserts, make sure you visit the Dr. Scholl's website for a $10 rebate on purchases! Custom Inserts: Did They Help? I expected a break-in period but something was different this time. Yes, the inserts and arch support were noticeable, but it seemed that my feet were feeling better by the end of the first day. Still I was skeptical. By the morning of Day Two, however, and throughout the workday and evening, all my foot pain had disappeared! I was stunned. In a single day years of pain were relieved. I was angry with myself for having gone so long when the remedy was waiting. My full disclosure is that on my toughest workdays I still experience foot pain. But I find this is due to the harshness of work conditions and innate foot problems, not a failure in the inserts. I remain a satisfied user of Dr. Scholl’s Custom Fit Orthotic Inserts. What Does Custom Fit Mean? The Cradleflex Arch Support system makes the difference between these custom orthotics and most regular insoles/inserts that can be purchased in stores. Some podiatrists recommend only purchasing inserts that are a minimum of $50-$60 to have any significant improvement in foot care. I know this to be true now. Still, Dr. Scholl’s custom inserts are not as customized as having professional orthotic measurements taken of the feet, like those performed by an Amfit system. These procedures are inclusive of understanding foot structures and not merely foot pressure points and lengths. The foot measurements and impressions made with these technology are then specially crafted for a one-of-a-kind fit for respective customers. Nevertheless, I am satisfied with my inserts. They are about as far as over-the-counter remedies will take me before requiring professional help. I highly recommend Dr. Scholl’s Custom Fit Orthotic Inserts to anyone with “tired achy feet”, heel issues, and any other foot ailments. I did the foot mapping and said 410, but they didnt have. Is a 310 interchangeable? I know! Glad your pain is gone. I'm on my feet for 8 hours at a time without sitting. The foot pain was excruciating. After spending a fortunr on shoes I was told about Dr Scholls foot mapping. The inserts were a miracle. Best 50 dollars I have ever spent. NO PAIN. Great product review for those who need it. I'll keep it in mind for future reference, whenever I might need a pair of insoles. Voted up for useful! Can you run in these and does that wear them out quicker. I'm not sure about a cleaning method. I never cleaned mine, but I didn't really need to the way you do. You may want to contact Dr. Scholl's and ask for their recommendation. If they're already getting wet, you might want to soak them in something like a baking soda solution or other and let them dry. Is there a way to clean the custom fit orthotics? I work where my feet get wet often, and it doesn't take long for my custom fit orthotics to smell very bad. Is there a way to clean them without them falling apart? Sorry about the delay...I guess you've figured it out by now. 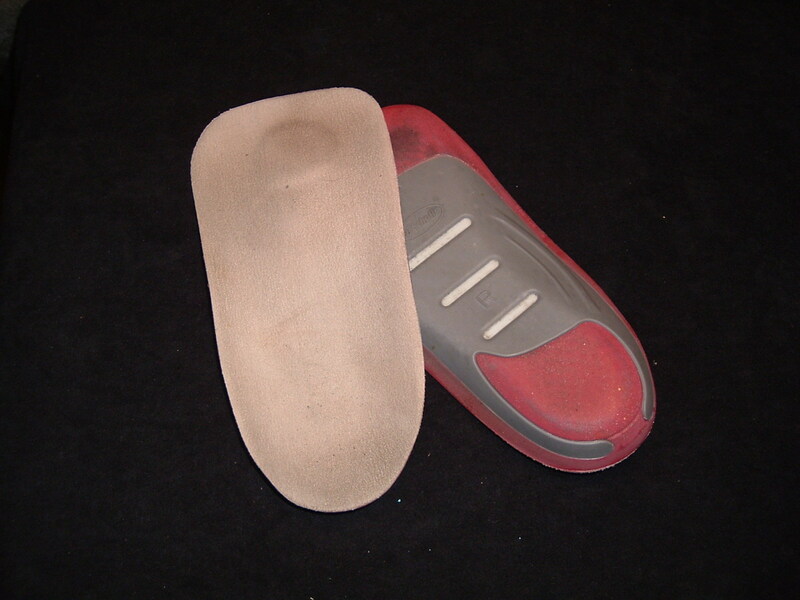 The orthotic slides in over your shoe insoles. Cheers. I bought the cf430 as recommended.my question is ,am I supposed to remove the full length insole that came with the shoe before inserting or leave them in the shoe? Hi, Carolyn. I doubt a photocopy would be accepted. I can only encourage you to do your best to remove it. Try using a lighter or match: use it to warm the glue of the sticker. This always works for me; then place the sticker on a sheet of paper or the like. But I didn't have any problems, so hopefully all goes well for you. Thanks for reading! I have a 10.00 rebate but, your product doesn't come in a box to be able to cut the UPC code out. It's just a piece of paper stuck on the plastic container and if you try to peel it off the UPC code will tear up. How am I suppose to get the UPC code off? Hi Carol. Thanks for reading. Not sure of your question, but the insert will fit in any shoe. No need to buy a larger size. The orthotic will fit inside just about any shoe (with a covered heel); and assuming you have the right one, it will definitely bring you comfort and relief. Hope this helps! Thanks for reading, Mohammad. Not sure how to advise you on this. Perhaps when you two are out together and can visit a kiosk, he can get measured for one. I think this would be better than purchasing one that isn't built for his body type (then he might develop foot pain!) The machine measures by pressure points in the foot and weight. I appreciate your comment! I would like to purchase one for my Dad as he has a pain in his knee. The problem is I don't know which size I could get him. is it by foot size? weight? I tested for myself, it showed that I should use 230. My Dad is 11.5 shoe size and I would say less than 180 pounds. TJ, thanks for reading. I've heard a few people speak of variations with their suggested inserts. I never had that problem any time I tried. I'm not in the position to advise you on which number to choose. I do suggest, however, that you contact Dr. Scholl's Customer Care ( 360-3226) and speak with them directly. Further, there is a ton of info on their website from which you may be able to make an informed choice. Cheers. When I got my foot mapping I did it twice, one said 110 the other said 120. Which one should I get? Sp00k4, I contacted Customer Relations about your question. It is NOT advised that you place your inserts in the washer-dryer because they may warp. To clean use a very damp washcloth with a little soap and spot-clean, then allow to air-dry. Cheers! Excellent, Modmill! I attest to what you say: They are worth it. Thanks for commenting. i have suffered for months with plantar fasciitis & heel spurs. i have bought so many inserts, had cortisone shots, wear a boot at night, etc. Everything gave a little bit of relief BUT...these babies are worth every cent !!! 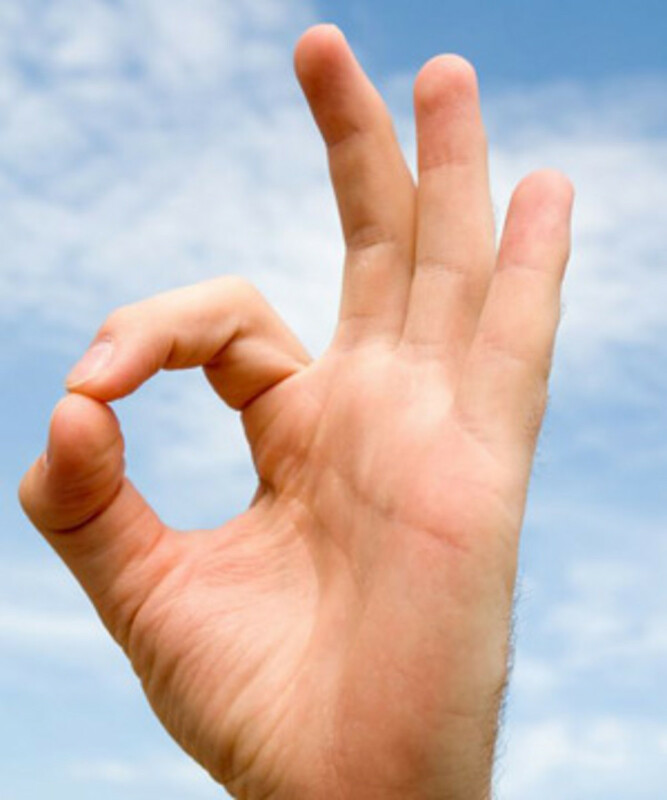 i am on day 3 of absolutely NO PAIN ! i wish to god i had tried them first. Do not let the $ 46 scare you off. my only recommendation: do the foot mapping more than once. i got different readings. # 310 for my arches did the trick! Good question. I'll contact Customer Relations and get back to you. they work very well I am on my feet all day for 7-8 hours 4 * some times 6 * a week and it works absolutely great but can you pit them in the washer????? That's okay. I'm sure everyone won't. I'm happy that they've given me relief. Didn't like them that much. Im currently trying a product from heelaway.com it's half the price of the Dr S and can be worn in any shoe. The life expectancy is six months according to Dr. Scholl's Customer Relations. They're great but when do they need to be replaced ? You know, I'm still happy with them. There is a real difference with my feet now. For me and my situation, I still have foot pain; but the recup time is drastically reduced and my feet don't reach the excruciating level as before. 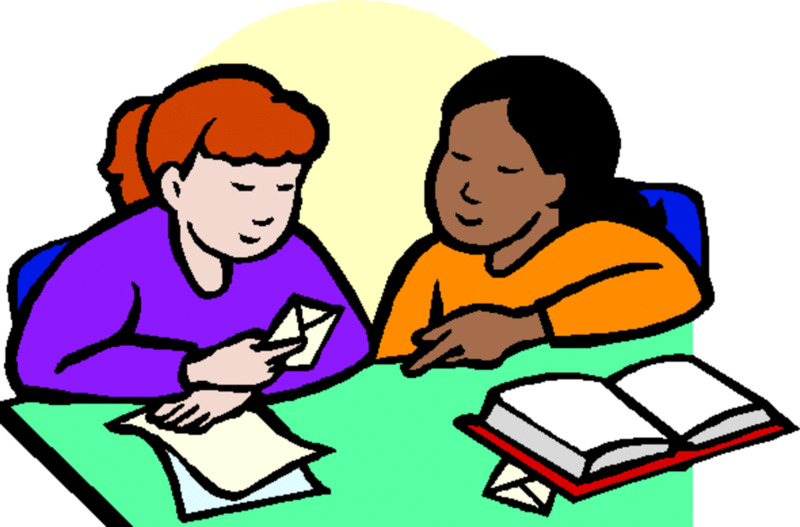 For someone without a condition like me (as with my sister), they would be greatly satisfied with them. Wow...I was always skeptical, because I figured a mass-produced product couldn't be that good...but now I'm willing to shell out the cash and give them a try. Oh, please tell me more about your custom orthotics. I would like to have some of those made. Expensive? Thanks for commenting! Cool! I wear the REALLY custom orthotics - the kind that the podiatrist makes. But, I wonder about having to get them re-covered every few years. I've often wondered about Dr. Scholl's. Hmm, I'll have to ask about this the next time I go. :) Votes and more. I think they're worth a shot and hope they work for you, too. Thanks for your comment, Point2Make. I have been having problems for a while now and was wondering about the Dr Scholls inserts. Thanks for the info I'll give them a try. Good hub!